Scrot (SCReenshOT) is an open source, powerful and flexible, command line utility for taking screen shots of your Desktop, Terminal or a Specific Window manually or automatically by Cron job. Scrot is similar to Linux ‘import‘ command, but uses ‘imlib2‘ library to capture and save images. It supports multiple image formats (JPG, PNG, GIF, etc), which you can specify while taking screen shots by using the tool. With scrot we can take screen shots easily without any additional work. We can also optimize the quality of the screen shots image (with the -q switch, followed by a quality level between 1 and 100. The default quality level is 75. It is very easy to installation and use. We can capture a specific window or a rectangular area on the screen with the help of switch. Can get all screen shots in a particular directory and also can store all screen shots in a remote PC or network server. Can monitor all Desktop PC in admin absent and prevent to unwanted activities. We can install ‘Scrot‘ on any Linux distribution. If you’re using RedHat or Debian based distribution, you can use a package manager tool like yum or apt-get to install it as shown below. If you wish to install it from source code, then use the following commands. Note: RedHat users, need to specify prefix location with configure command. 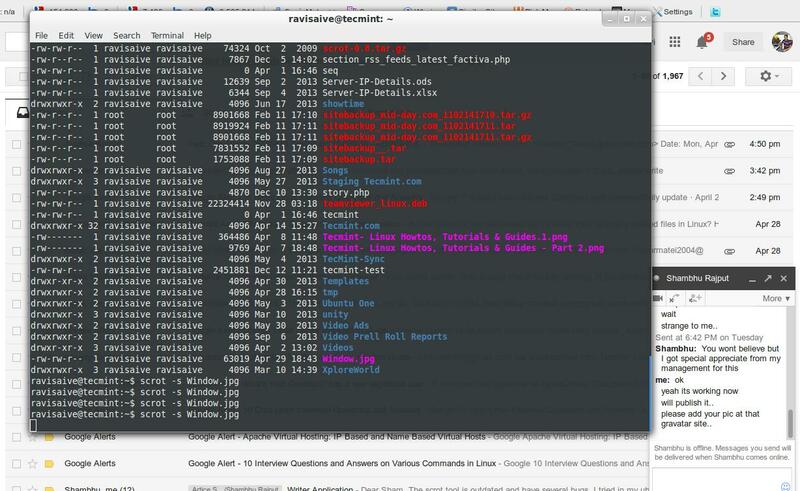 As I said above, scrot can capture an entire desktop, a terminal or a specific window. With the help of scrot you can also take screen shots of a shell/terminal of a system that doesn’t have a GUI support. Let’s take a entire screen shot of the Desktop, using the following command in your terminal. If you would like to capture a specific area on the screen, you can use the following command with ‘-s’ switch that allows you to interactively select the area with your mouse that you wish to take screen shot. With the help of ‘-q‘ switch, you can specify the quality level of the image between 1 and 100. The default image level is set to 75, and the image output will be different depending upon the file format you specify. The following command will capture an image at 90% the quality of the original high quality screen. 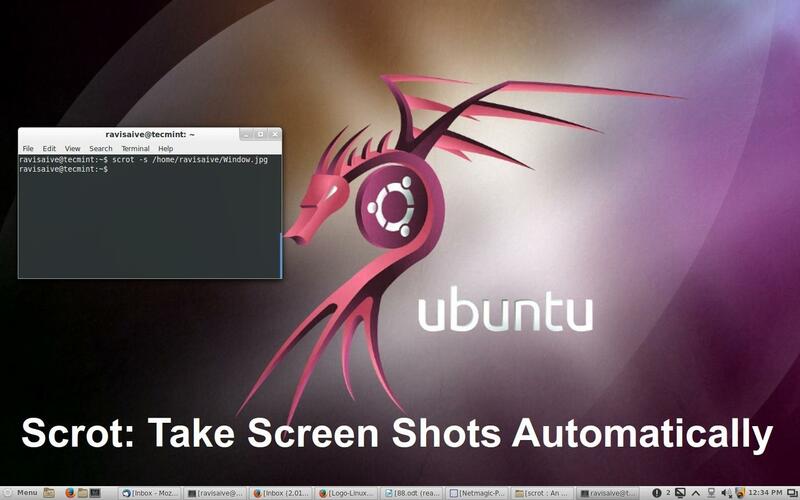 Now if you would like to get automatically screen shots, than you need to create a simple shell script. 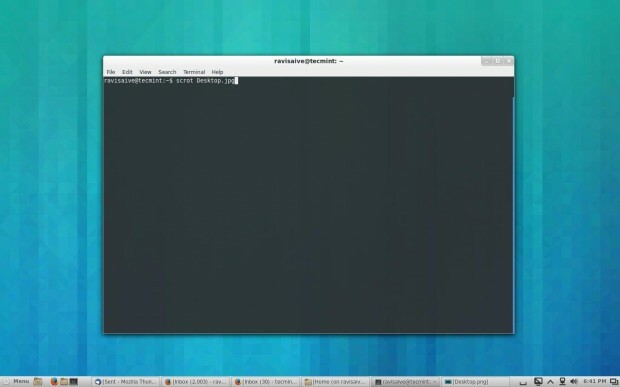 Create a file ‘screen.sh‘ with ‘touch‘ command and add the following content to it. Now grant ‘777‘ permission and set an Cron job. Open a ‘crontab‘ file and add the following entry. You can define custom interval time. The above Cron entry will run every ‘1‘ minute and take screen shots and store them under ‘/media/tecmint‘ directory with filename as date and time. 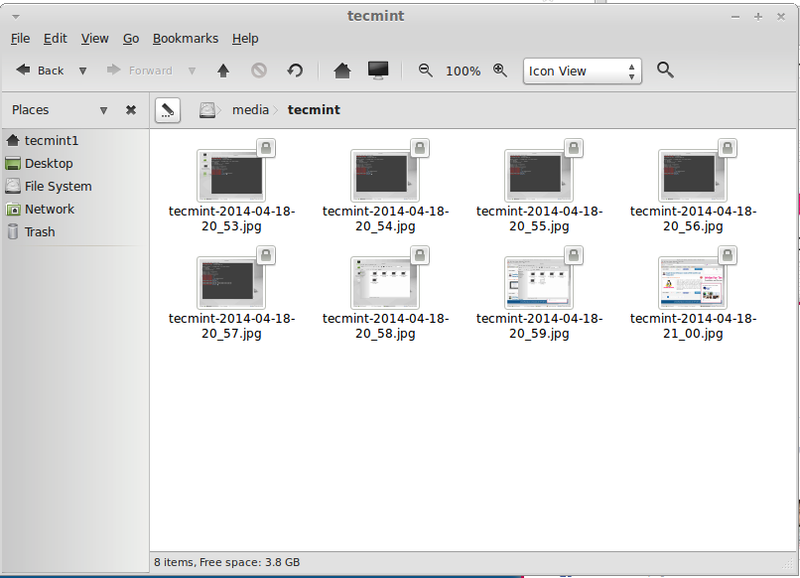 After running script for 1 minute, this is what I found in my ‘tecmint’ directory. I am an Linux sever and Desktop Administrator with over than 4 years of Linux experience. I love Linux and I am actually really interested in the many Linux distributors like Ubuntu, Mint, Fedora, BOSS etc. Thanks for the write-up. It was very informative. I would like to know if there is a way to modify the automated script so that the screen is captured only whenever a certain application is running. I have a user who has installed TOR browser on an office machine and I would like to know why. It seems doable with this method, I just lack the knowledge of bash to make it happen. Thanks for any help you can provide. From @climagic: sleep 5; scrot -u Phishing-email-example-with-mouseover.png # Use a sleep and the -u option with scrot to capture a mouseover screenshot. Which bash script is not working for you? what error you see while executing the script? could you share the output with us? How does linux ubuntu show dual screens? 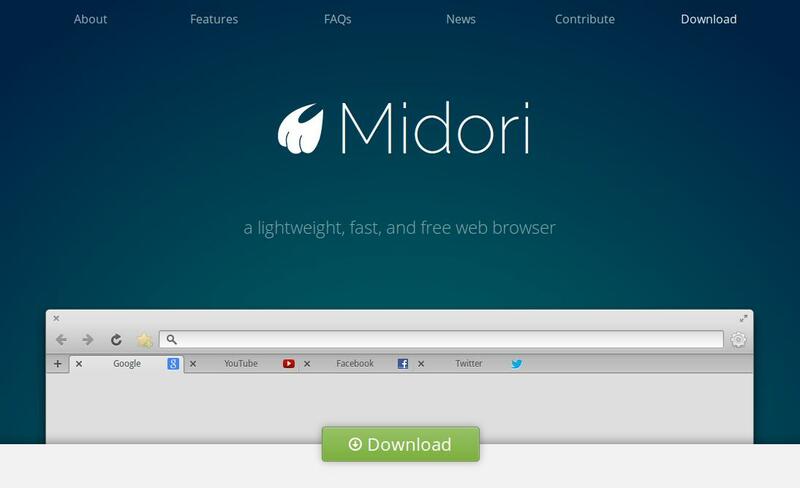 How we can take the screenshoot of any particular website like google or any monitoring tool like backuppc. It will be a major pain in the neck if you do not do the following before installing scrot on centos using the mentioned script to install from source.